Imagine your life 10 years ago. Maybe you had a flip phone and your home still had a land line. There was no Netflix, Facebook or, gasp, Amazon Prime. Now imagine, like millions of women in the U.S., you’ve been on a career break during that time of rapid advancement. How daunting is it to consider re-entering the workforce after changes in technology have transformed the workplace and the way we live? 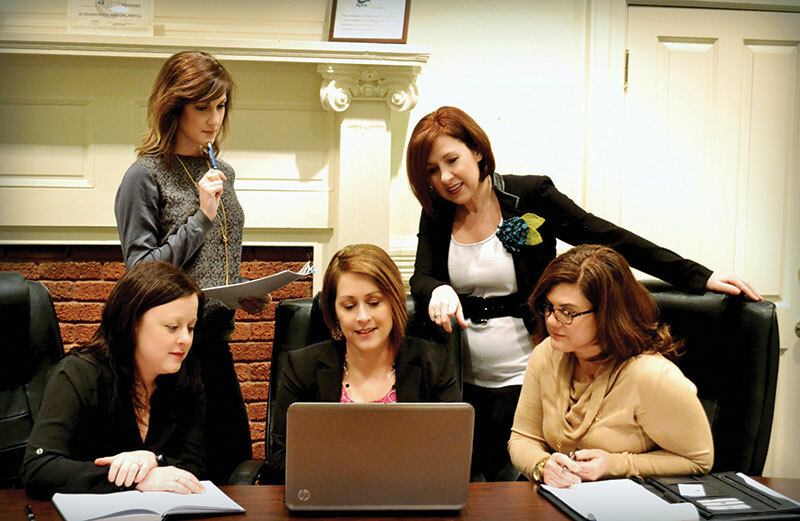 Jennibeth Brackett, seated behind computer, and Missy Gower, standing at right, founded Career Crafters for You to coach men and women returning to the workforce after a gap. They are with Leann Jackson, Meghan Taylor and Catherine Shireman. Brackett speaks from experience; she took a nearly nine-year break from a career as a communications professional when her two children were young. 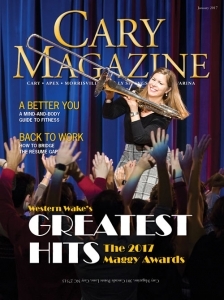 Brackett and her business partner, Missy Gower, now operate Career Crafters for You, a Cary-based career coaching firm that guides women and men back into the workforce. Its services include online, self-directed programs on résumé-writing, networking strategies and interview skills. The pair also offers tailored one-on-one coaching. “We did a lot of research, combined with our own personal experience working with folks in the industry, and we encapsulated everything into an online package for people who wanted to walk through the process themselves, but didn’t want to spend hours and hours researching it,” said Brackett. Carrie Hauser, left, and Julianne Walther consult at the long-arm quilting machine. In addition to selling fabric and supplies, the shop provides quilting services for customers. The U.S. Department of Labor reports that nearly 43 percent of mothers with children under 1 year opt out of the workforce. That number falls to 30 percent of women with children ages 6 to 17. For entrepreneur Julianne Walther, a career break turned into a small business. She left a job in the pharmaceutical industry after her first child was born. Eager for a creative outlet, Walther picked up her longtime hobby of quilting. That became a custom quilting business called Patchwork Memories, which grew along with her family. 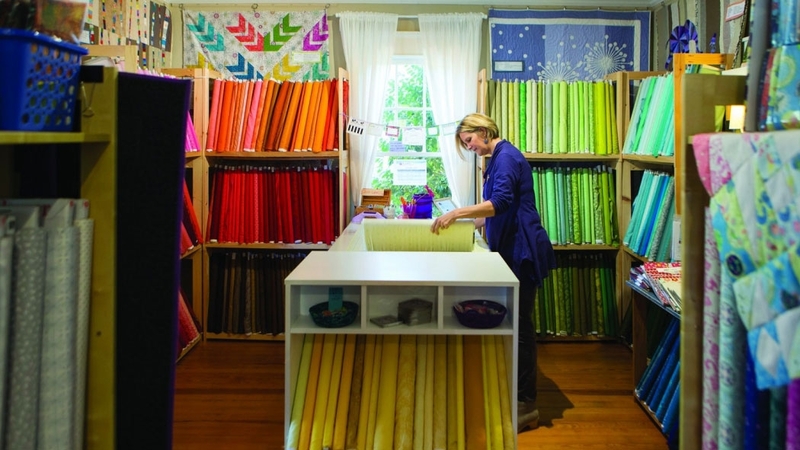 The business eventually outgrew her home, and Walther moved the outfit to downtown Cary. Then, in response to queries from local quilters, she opened the Cary Quilting Company and closed Patchwork Memories. “I didn’t really intend to build myself a full-time-plus career. It was really just BOOM, you’ve got a shop now,” said Walther. Walther has had to learn personnel and time management skills, as well as day-to-day accounting in her journey as an entrepreneur. Her husband handles the store’s website. 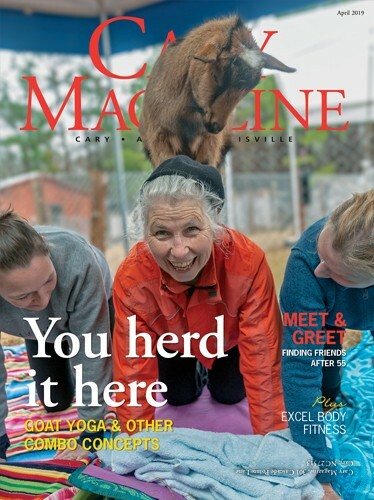 “It’s been a learning curve for me, in that I wasn’t ever planning to manage people and now I have 12 people besides myself who work at the shop,” she said. Although she didn’t plan it, Walther’s experience aligns with career coach Brackett’s top piece of advice: Don’t completely jump out of the workforce. Katie Dunn followed that advice as well, working part-time for the UNC Kenan–Flagler Business School admissions office. But she was taken aback by the difficulty she had finding full-time work after a 12-year gap. 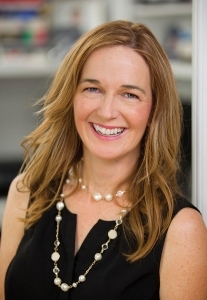 “I was surprised with how challenging that was, because I still felt very much in touch with the business world,” said Dunn, mother of four and founder of the annual Back to Business Women’s Conference, held for the second time last fall. She heard similar stories from friends and colleagues. The conference she founded in response to these concerns helps women get back to work. At the two-day event, inspiring speakers coach attendees on conducting a successful job search. The conference also connects women with potential employers, bringing attendees and recruiters together for face-to-face networking, which sometimes results in a new hire. She hopes the trend toward flexible workplaces will help ease re-entry for women, and that one day businesses will see a career break as a natural part of a person’s career. Don’t completely jump out of the workforce. Stay current in your industry with classes or online programs and professional organizations. Make volunteer time relevant. Serve as your church’s treasurer or offer your skills to nonprofit organizations. Maintain your network. Stay in your networking groups; branch out to different ones to find new opportunities. Be vigilant about your online presence. Keep your LinkedIn profile updated and professional. Be confident. You can contribute in a valuable and professional way. Let others see that. Refresh your skills. Look at the requirements for your target job and fill any skill gaps. Check community college offerings for classes. Don’t be afraid to seek professional help from career coaches and résumé writers. Invest in the tools and resources needed to aid your job search. Get personal. Connect face-to-face at networking and professional events. Find a support group of others experiencing similar challenges. Set realistic expectations for yourself and your family. You have to be willing to give at some point when taking on a new role. Let go of guilt. There may never be enough time for everyone and everything. Focus on the highest priorities. Be open to opportunities. A hobby that blossoms into a full-time job might not be the conventional route to entrepreneurship, but it’s an exciting and fun route nonetheless.